If you currently have two children or plan to have two children total, the chapter on parenting the two child family is just right for you. 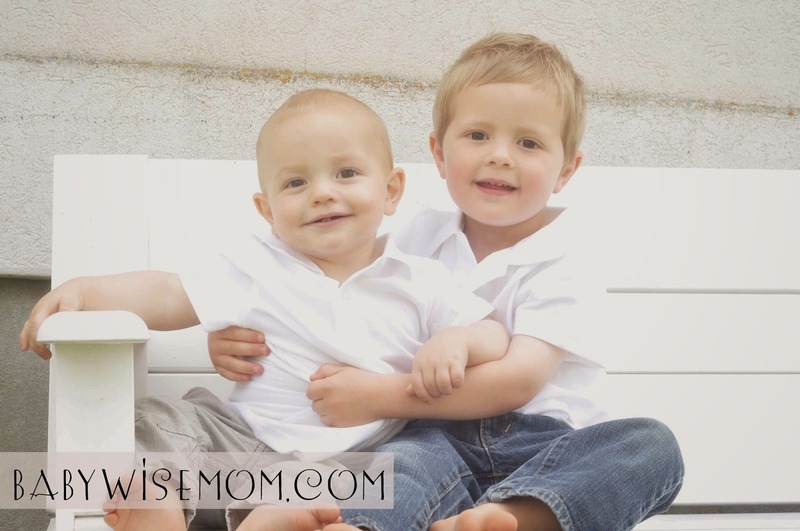 Leman discusses some tips and strategies to do your best in his book The Birth Order Book . He talks about the different gender scenarios–two boys (where Mother’s influence is of ultimate importance), two girls (where father’s influence is key), and boy-girl (where the standard rivalries found in two children families is not usually present). Now for some of my own personal commentary on the topics. First, for the boy/girl. While I obviously don’t have that now, I did for a couple of years. Leman comments that “…a first-born boy and a second-born girl can often develop a close emotional bond” (page 298). This is certainly true of my first two. Brayden and Kaitlyn are best friends, and I have decided they are twins separated by birth. They are super tight. These two also don’t compete with each other in most instances. I grew up in a two-child family. I have one little sister. We definitely had rivalries. My little sister did everything she could to avoid following in my footsteps. For example, I was a singer. She also has a great singing voice, but dropped out of lessons for fear of being compared to me. So a trick as a parent with two children is learning to manage these rivalries so they don’t become a problem for one or both children. Don’t label: Don’t label one as “good” and one as “bad.” Don’t compare. Love and relate individually: Point out what you love about each child as an individual. Don’t ask one child to be more like another child. Love unconditionally: Love your child no matter what grades are or even what behavior is like. You always love the person. Treat as individuals: Things don’t have to be perfectly equal for both children. The older child can have a later bedtime at points in life. Maintain consistency: It will mean a lot to the oldest child for you to be consistent about rules. Have age appropriate responsibilities: Remember, it is easy to try to treat two children the same, but you aren’t doing either one favors with that. You will either have too low of expectations for one or too high for the other. It is also possible you would land somewhere in the middle. You don’t have to keep things exactly even. Parent each child indivually. If the oldest was ready for a certain freedom at five, it doesn’t automatically mean the youngest will be, too. She might be ready earlier or later. One-on-one time: One-on-one time is very important. As Leman says about this time, “You don’t find it; you make it.” Take one child shopping, go out to eat together. “Dozens of ways to spend one-on-one time together will occur to you, if you really want to do it” (page 306). For more on this idea, see my one-on-one time posts. I think some major tricks to parenting the two-child family is to figure out how to treat children fairly yet as individuals, also. With two children, you better believe they are noticing things like how much time they get with parents, what expectations are of them compared to the other, and how often little sister gets new furniture (um, yes, that is my real life). You won’t be perfect, but you can try your best. Previous Post Poll Results: What age range is easiest for you (easiest, not hardest)? Interesting, but the family I grew up in certainly doesn't fit Leman's descriptions! I am from a two-child family, with my brother being the older child and me being the younger. And we have never had a tight bond, and we had sibling rivalry out the wazoo! 🙂 I did everything possible to avoid being compared to my super-star big brother. And strangely, many of the two-girl families I knew in my circle of friends seemed to have close sisterly bonds. Go figure! Karen,I was a bit confused reading the book as I didn't think me and older brother really fit the typical profiles….BUT it dawned on me: I am a first-born daughter so that is why I have more first-born traits than the baby/youngest child. He goes through and explains in more detail in his book and it really is uncanny at how most fit into the slots, even if at first glance one thinks no it's not my family. I was a bit skeptical to think how to pigeonhole everyone so neatly but it is accurate for many.And I know a some girls that fought like cats and dogs growing up BUT became best friends but basically later in life when everyone moved out of the house:) I remember feeling sorry for their moms (during their childhood years) but it is funny sometimes how things turn out years down the road. You are so right Yvonne that there are so many different influences that can impact you one way or another on how you interact with others.